Sea levels in coastal areas can be affected by a number of factors: tides, winds, waves, and even barometric pressure all play a role in the ebb and flow of the ocean. 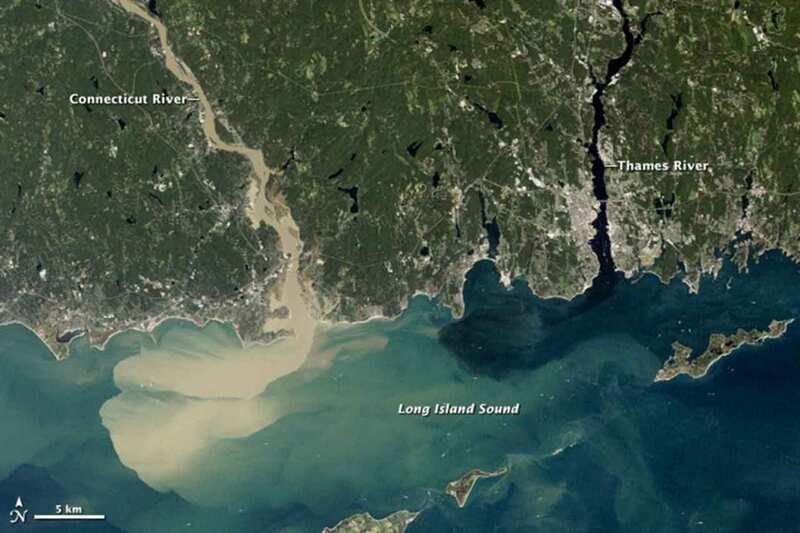 For the first time, however, a new study led by the Woods Hole Oceanographic Institution (WHOI) has shown that river outflow could play a role in sea level change as well. The study, published July 9 in the journal Proceedings of the National Academy of Sciences, examined decades’ worth of river level and tidal data from gauges installed throughout the eastern United States. 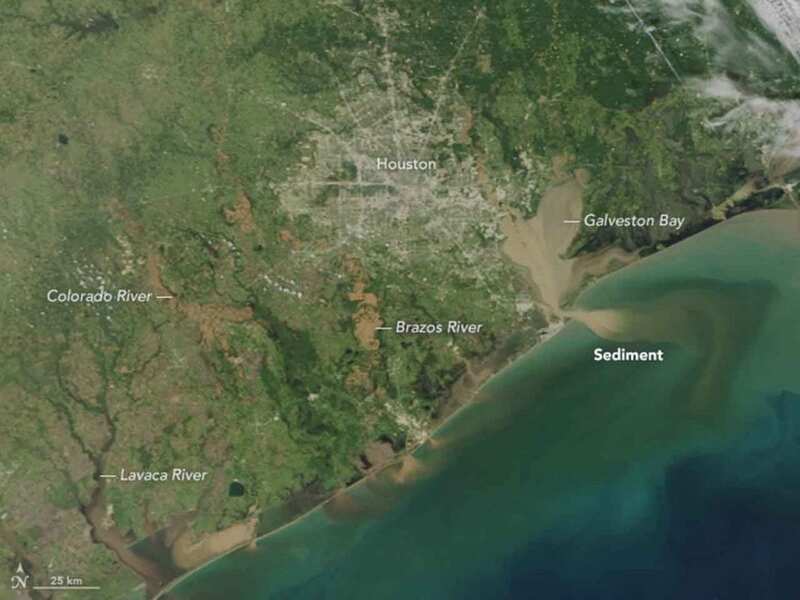 The researchers then combined that data with information on water density, salinity, and the Earth’s rotation, creating a mathematical model that describes the link between river discharge and sea level on an annual basis. Notably, the study found the majority of that sea level change occurs only one side of a river’s mouth. Since freshwater is naturally less dense than saltwater, river outflow floats along the ocean’s surface, where the Earth’s rotation forces it to turn sharply along the coast. In the northern hemisphere, that water follows the right hand side of the river; in the southern hemisphere, the left hand side. In both cases, the freshwater forms a current that pushes water up against the shoreline, raising localized sea levels in the process. At the moment, says Piecuch, the model is still just a proof-of-concept, but could already help calculate the effects of sea level rise on certain coastal regions. That data is missing from current satellite measurements, since the resolution of existing sensors isn’t fine enough to get accurate readings of ocean height within a few miles of the coast. Right now, the WHOI model has only been used to calculate average sea level on an annual basis—but Piecuch and his colleagues are working to change that. Ultimately, they hope to consider more detailed and granular data, so they can understand how individual events, like a hurricane or massive rainfall, might affect ocean levels. Also collaborating on the study were Steven J. Lentz of WHOI, Klaus Bittermann and Andrew C. Kemp of Tufts University, Rui M. Ponte and Chistopher M. Little of Atmospheric and Environmental Research, Inc., and Simon E. Engelhart of the University of Rhode Island. The research was supported by grants from NASA, NSF, and the Investment in Science Fund at Woods Hole Oceanographic Institution.